One of the toughest holes on the course with out of bounds running down the left. A good drive is needed to hold the fairway, still leaving you with a bit of work and two choices of approach to the green. 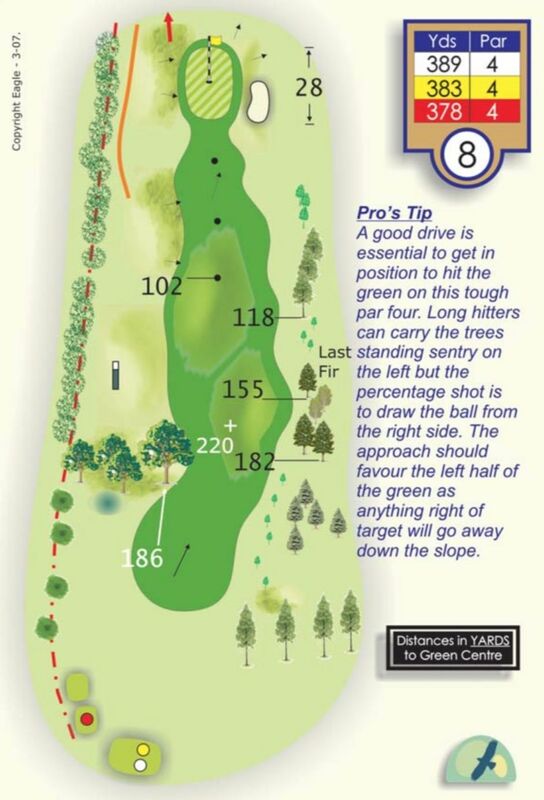 Either fly the ball all the way or allow for the slope, which runs from left to right onto the green, the choice is yours!